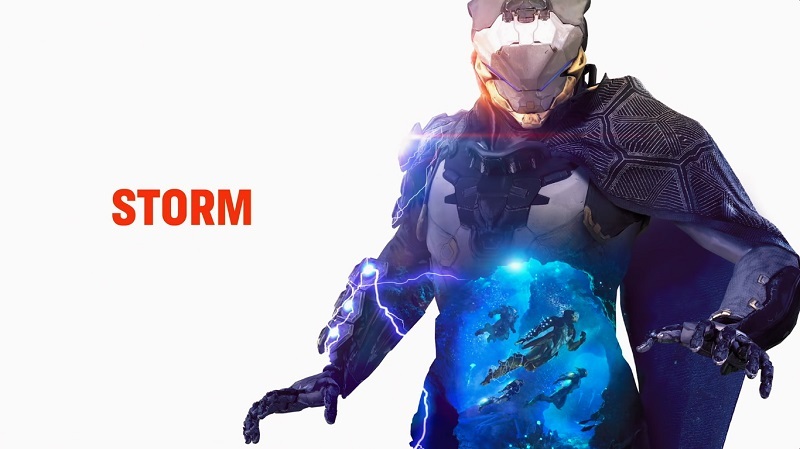 Anthem Class Damage Chart will help you decide which one to pick ahead of the demo. 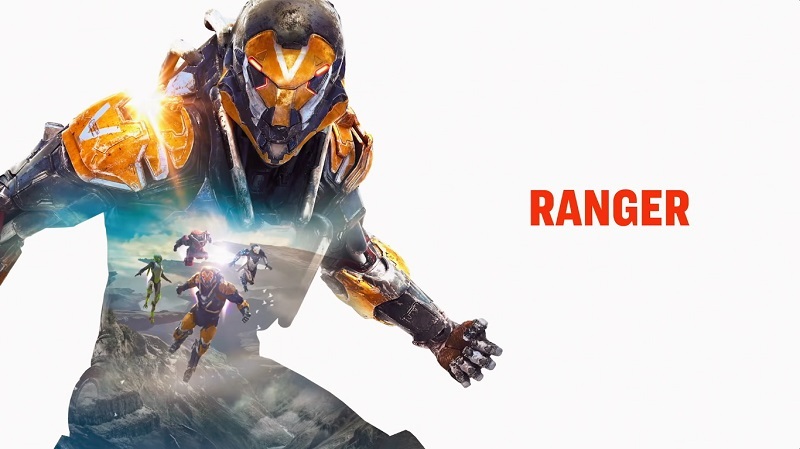 The Anthem Demo is going live from January 25 for VIP players and February 1 to all open players. Before EA’s next big launch, one of the Anthem fans shared the complete Chart of Damage type by class. Here is everything you should know before the demo launch. 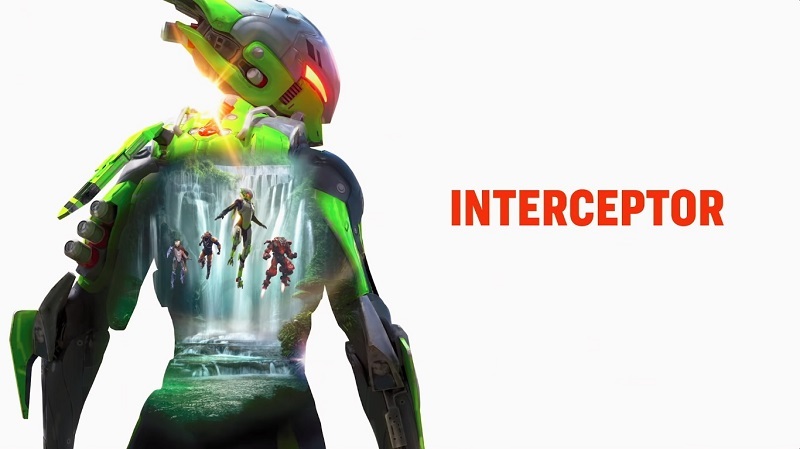 The four major classes in Anthem are Ranger, Colossus, Storm, and Interceptor. 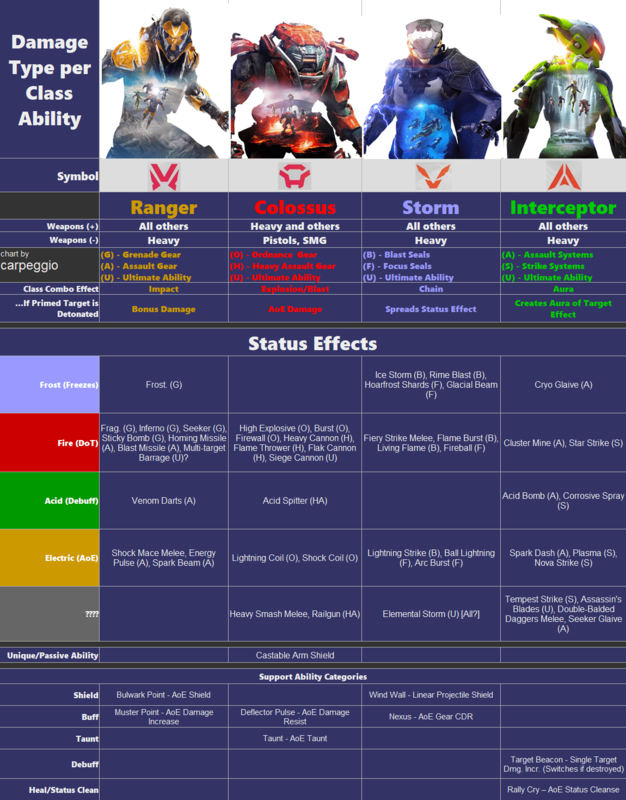 Each class has their own specialty from damage, weapons, class combo effects and more. 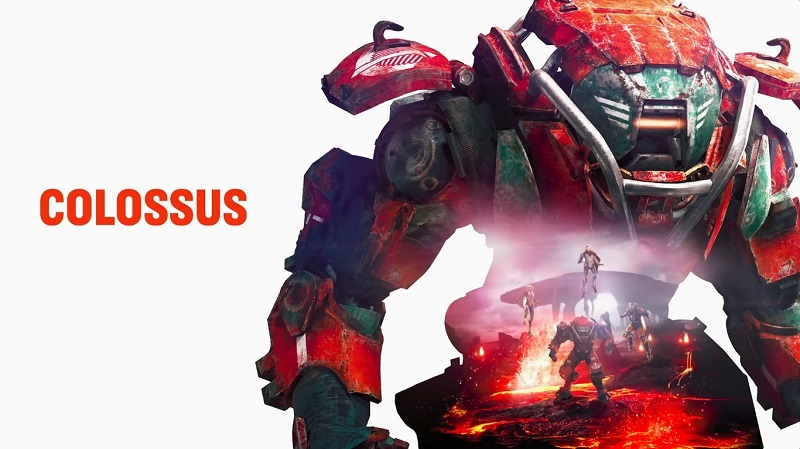 Check the complete Anthem Damage Chart below. The Ranger is an all-around balanced class. It is the starting Javelin that all players have access to. It is equipped with a shock mace as its melee weapon. With access to every weapon type, the Ranger is a true wild card that can complement any team and any mission. The Colossus is analogous to a ‘tank’ class, trading mobility for extra firepower. Slower than other Javelin types, it can be equipped with weapons such as a grenade launcher or flamethrower. It cannot be equipped with pistols. The Storm is analogous to a ‘mage’ class. While fragile, the Storm can utilize elemental abilities (Cryokinetic, Electrokinetic and Pyrokinetic abilities). The Storm can hover longer than any other Javelin and but it is exceptionally vulnerable to melee damage. Which Anthem Class is your Fav? Check this space for more Anthem Leaks, Walkthrough and Tips.